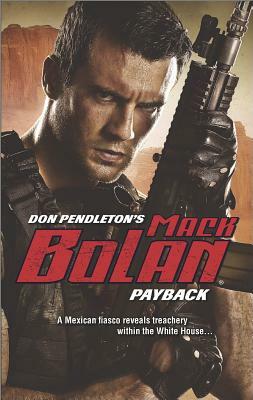 In Mexican cartel country to rescue an undercover agent, Mack Bolan arrives to find the stronghold smoked and his man missing. It's the second failed play at the same site, where five years earlier a mission went deadly sour. This time, Bolan suspects betrayal in the highest places. And when the mission shifts from rescue to revenge, the trail extends into the corridors of Washington. Bolan uncovers a wealthy industrialist selling arms to drug dealers to finance a daring political gambit. The billionaire has a rogue, high-level CIA official in the game and ambitions to put a puppet in the White House. With genetically enhanced supersoldiers to do his dirty work, he's unstoppable. Until one of those soldiers dedicates his last fight to helping Bolan take down this enemy of the state who's convinced he's got the power to commandeer the U.S. presidency. The Executioner won't stop until he proves him wrong.